Woo hoo! Another win. Only against St Mirren. I know, I know. Stop going on about the most wonderful team in the world (That sounds like a festive song by Andy Williams) and tell us how The Grambler’s predictions fared. Did The Grambler bring us festive cheer? Or is our Christmas stocking going to be empty? Empty, I’m afraid. The Grambler got each and every prediction completely and utterly wrong. If you remember, there was a lot of a certain beverage dubbed ‘mulled buckfast’ being consumed as the predictions were being compiled. I reckon that The Grambler was also partaking of this intoxicating liquor and was a bit, well, intoxicated. How else did he/she/it come up with such crap predictions? Do you want a match report? Sorry, not in the mood. I think one word sums this up as far as The Grambler’s prediction goes – Crap. In fact, let’s just forget last week altogether. Okay, let’s get on with this week’s predictions shall we? But first…The Prologue. As this is our last gramble of the year, I think we ought to take a look back at the biggest news stories of the past twelve months. Well, obviously, the main news was the passing of our wonderful founder on August 29th; a date that will be forever etched on every grambler’s mind (Please take the time to read some of Stewart's posts.). But there were other stories. Now, I feel that I should steer clear of anything too controversial. So, that rules out anything political. Or religious. Or royalist. Hmm. What’s left? Erm….Ah! Apparently, the word ‘selfie’ was declared the ‘word of the year’. Really; how interesting. It means taking a photograph of oneself. I hadn’t realised that. I thought it meant… Yes, well, we won’t go into that. So a shortening of the term ‘self portrait’ is acceptable as a word in itself. Does that mean words such as ‘probs’ as in ‘no probs’ (no problems) should now be accepted as correct? What about ‘deffo’? You what? I hear you ask. Deffo as in ‘definitely’. Or as we say in God’s chosen country ‘definately’. Another new word seems to be one describing a ‘provocative dance’ as performed by a certain Miley Cyrus. That word is ‘twerk’. Basically it describes what the person performing said ‘provocative dance’ resembles – a cross between a twerp and a berk! I am sorry, call me a traditionalist or ‘traddy’ if you like, but I believe such lazy terms should not be embraced as acceptable; especially not when we have coined our own word of the year; in fact, several words. Each one has as its root ‘grambl’ as in gramble, grambler, grambling, Grambleland, gramblemas etc. Maybe next year those bods at the OED will realise their mistake and give their award to us at thegrambler.com. Come on all you gramblers out there, make it happen! 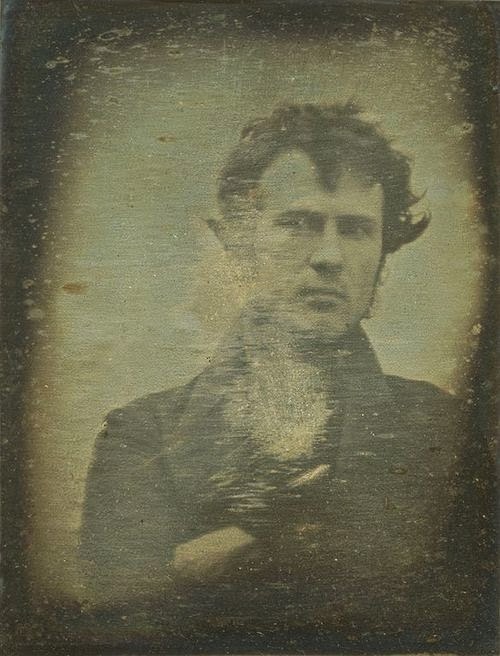 Anyway, selfies are nothing new. Word of the year, indeed. The first one was taken….guess when. Answer at the end of this post. Houston, we have a problem. This Sat’dy 28th December there are only 18 senior games taking place at 3pm. Of those, only 4 take place in England. Hmm. This calls for some drastic rule-changing. Right. Here’s the plan. Instead of choosing Saturday games that take place only at 3pm we will select from only those senior games which take place on Sunday the 29th of December. Yes, I know. It goes against all my rules. Call it rule-bending rather than rule-changing. Oh, one more thing; the games take place at all hours, not just 3pm. Okay, it is rule-changing. It’s only over the holiday period. I mean even obscenely overpaid footballers deserve a holiday now and then. By using this means of selection, there are 46 senior games for The Grambler to choose from. Oh…here they are. Ha! Five home wins predicted. A bit cagey this week after last week’s debacle (That’s a good word; I must look it up.). Next we are off to the King Power Stadium, home of the king Foxes who play host to the king Trotters [Behave yourself – Ed]. As with all our predictions this week it’s another home win according to The Grambler. Leicester sit in 3rd place at the time of writing; Bolton are down at 18th spot. Need I say more? No. Up to the north of Scotland for this meeting at Pittodrie, home of the Dons who take on the Staggies. Another home prediction. Aberdeen sit in 3rd spot on 32 points while Ross County are in 11th spot on 11 points. Need I say more? No. Back down to Lancashire to the Crown Ground where the Stanley play host to the Shrimpers. Oh dear. Stanley are in 17th spot while the Shrimpers are 7th. Not looking too clever this one Grambler. After a crap start to their season Stanley started picking up points and had an unbeaten run of 8 games from the start of October til the end of November. It has gone a bit skelly lately with a couple of recent losses, but who knows? Maybe they could bounce back. Southend have played 10 league games away from home and have won 7 of them. Don’t think The Grambler has got this one right, somehow. But Stanley did have that good run….Come on the Stanley! …And finally, Cyril? And finally Esther The Grambler takes us to the Kassam Stadium where the Us (yooz) play host to the Iron. Which Iron? Any old iron, any old iron, any any any old iron…[Get on with it – Ed]. Home win says The Grambler. Hmm….Interesting one. 2nd (Oxford) take on 3rd (Scunthorpe, obviously). Oxford have played 11 games at home this season and have lost 3. Scunthorpe have played 11 away from home and have lost only 2. Very interesting. What about previous meetings? Nah. They haven’t met in 9 years. Difficult one to call, this one. Would it be cowardly of me to say…a draw? Yes it would. Let’s just go with The Grambler. Is that all? Aye well, I suppose if you back all the home wins, that’s what happens. I promised you an answer to the question – When was the first selfie taken? Answer 1839 and here it is.